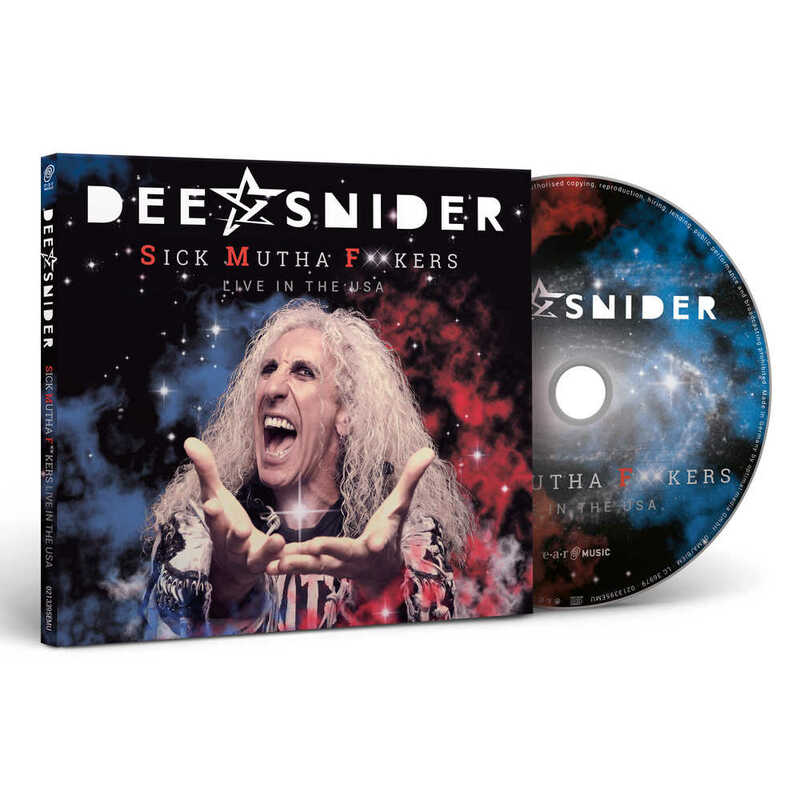 Dee Snider is one of the iconic protagonists of American heavy metal, having scored on his way, alongside major hits and notoriety, a huge amount of credibility and sympathy beyond the boundaries of his genre. Snider gained great prominence during the early 1980s as the lead singer of the American heavy metal band Twisted Sister. Twisted Sister’s third album “Stay Hungry” with hits such as “We’re Not Gonna Take It” and “I Wanna Rock” gained multi-platinum status with US sales of more than 3 million copies. Dee’s stage presence is a must see. During his last year’s performance at the German Wacken Open Air festival, over 70.000 metal fans were blown away by his energetic and extremely physical performance. “S.M.F. – Live In The USA” opens up with a bang! Recorded on the SMF Tour 1995, this live album includes the musical milestones of his legendary band Twisted Sister. 16 songs of sheer power and energy - everything that Dee Snider stands for!